Our Shea Butter Lip Balm will melt on your lips. 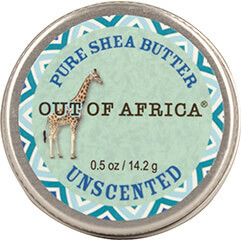 30% of this formula is unrefined shea butter – the highest amount in the market! Most others have 1 or 2%. Our luxurious lip balm does more than taste good, it provides natural healing with healthy fatty acids and antioxidant vitamins A, E & F, that provides moisture to keep lips soft and supple. This smooth formula is never drying or sticky. Cracked lips do not stand a chance.